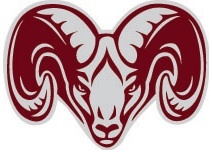 I would like to extend a warm welcome to all new and returning Rams for the 2018-2019 school year! Many of you will be participating in our athletic program this year. I am certain your experiences will be most rewarding. We are very proud of our teams here at Gorham High School and we look forward to your participation and the sharing of your successes. Using your "smart phone", take a picture of the completed and signed forms and upload these files into your student's online file (found below under "Participant's Information"). In either of the quoted instances, the signed form(s) should be returned to the Athletics Office. Anyone wishing to participate in athletics must have an updated physical on file in the Athletics Office prior to any participation. The form must be completed by both a guardian and a medical professional (Medical Doctor, Physician’s Assistant, or Certified Nurse Practitioner). Physicals are considered updated if they were completed within the last 2 years or 730 days. Physicals may expire mid-season causing a student to become ineligible. It is the student’s responsibility to keep his/her physical updated. We are excited to announce that we now offer the convenience of online registration for our sports programs. FormReLeaf is an intuitive and hyper-secure registration platform providing you with a user-friendly way to register for our programs, while helping us to be more administratively efficient. Click on the sport(s) you wish to register for. After clicking on the appropriate sport, complete all of the required information which follows; any questions or field marked by a red asterisk ( * ) is required to complete your athlete’s registration. Sign (using your mouse/a finger/stylus in those fields where appropriate acknowledging that you have read/understand or give approval for the content of the document, referenced. When finished click “Submit”; should you walk away from the registration for more than 15 seconds, your work will be saved and you may return to the same location and continue till completed. You will receive confirmation once your registration is completed. The Athletics Office will verify all registrations once submitted. The Gorham High School Athletics Staff are excited about this extremely intuitive registration platform and hope that you will appreciate and enjoy the ease of registering your students for our athletic programs going forward.